Is your facility doing the most to achieve its safest and most energy efficient food products? Find out how to set high equipment standards with predictive maintenance so your employees are protected from injury and your products are safe for the end-user. Predictive maintenance refers to the maintenance strategies used to determine the condition of in-service equipment versus maintaining equipment by routine or planned maintenance (preventative). This approach promotes a safe work environment because your equipment is continually monitored while reducing 12-18% of operating costs over time because maintenance tasks are performed only when warranted. Take inventory of all the equipment used in production. There are many ways to do this, but we find these fields are valuable for predicting and planning your mechanical predictive maintenance strategy. Identify your planned shutdowns and work backward. Production facilities often operate around planned shutdowns to work on major repairs. To stay proactive, mark these dates on the calendar, grab your equipment inventory and begin to establish your predictive and planned maintenance dates. Predictive Maintenance – Use your priority field to determine what pieces of equipment are critical to your operation. You’ll want to budget operational costs to perform additional testing like vibration or thermal analysis throughout the year. In many cases, it can be beneficial to perform predictive maintenance tasks about eight weeks and two weeks out of the planned shutdown. During temporary shutdowns, you may need to make additional repairs. Assessing this early on can help you to avoid expedited shipping costs, unplanned manpower and unplanned shutdown costs. Routine Maintenance- Instead of planning maintenance by quarters or specific dates, convert machine run-time hours to days and mark them on your calendar. You may find that you’re reducing operating costs because your materials are lasting longer or because your identifying repairs early on. Establish a Standard. To make sure tasks and procedures are performed correctly, establish a standard for drafting, reviewing and approving maintenance tasks. Developing an organized strategy head-on will ensure that all of your team members understand what is expected. Furthermore, providing food safety professionals with formal training on protocols and documentation will help your operations run smoothly and that procedures are carried out effectively. Establishing proactive procedures such as the handover procedure can greatly improve food management tasks. When repairs are made, looking over the quality of equipment, parts and unit can ensure that materials are clean, inspected, that the work has been done properly and the unit is ready to go. 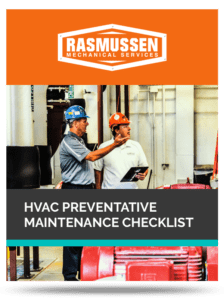 If you’re having trouble developing a preventive maintenance strategy, draw from previous manuals about your facility’s equipment manufactures, previous risk assessments and situations from personal experiences to help you better assess that materials are being used efficiently and properly. Describe how and when to lubricate equipment. Specify the type of lubricant to use and the amount that needs to be applied. Identify which lubricants are for food and non-food by color-coding. Document any additional spare parts as part of your preventive maintenance strategy. Food safety professionals need to understand the potential risks of shutdown due to equipment or part failure and maintain a spare parts inventory to keep the plant running in case of an emergency or when risk assessment can be used effectively. Cost-integration: maintenance hours, capital costs, parts, downtime, etc. A maintenance management system can capture many elements throughout your operation including hours involved in maintenance and emergency repair, cost of spare parts, downtime for each unit operation throughout your facility and sanitation cleaning maintenance schedules. By integrating detailed records through an electronic maintenance management system, food safety professionals can better understand underlying problems that occurred during downtime and can determine which pieces of equipment are operating efficiently and which ones aren’t to further improve equipment efficiency. Implementing a proactive predictive maintenance strategy is not only an essential part of a company’s food safety and quality program, but can help you discover solutions throughout your facility that need improvement. Our team of experts is ready to provide you with proactive solutions to improve production efficiency and reduce maintenance costs, making your equipment run longer, better and faster. Contact us today! What Does Summer “Break” Really Mean?